Grow Your Marketing Lists Using SEO, now GDPR is here to stay. This article is about ‘How to Grow Your Marketing Lists using Search Engine Optimisation’ (SEO), now that GDPR law is coming into its first year on May 25th, 2019. This article is not about creating forms for growing Marketing lists. We have another article on the topic of ‘Growing Your Marketing Lists Using Content Upgrades’ coming soon, and this article on GDPR Compliance Forms and Plugins. So GDPR came in to effect on May 25th, 2018. Almost one year on, and you’ve probably had enough of GDPR chatter by now. So, did you take action? Did you panic about your existing mailing lists? And did you worry about how to grow your business? And finally, how you are going to grow your new mailing lists to be able to sell your products and services? SEO will be one of the best and your No.1 most effective processes in growing your emailing marketing lists. If executed properly, SEO will be one of your No.1 most efficient processes in grow your marketing lists in the future, as SEO is already GDPR compliant in many respects. Therefore, nothing of compliance is needed here, only some clever tweaking of your On and Off-Site SEO. Depending on your website Content Management System (CMS), you will be able to tweak the pages of your website to suit and gain those page one positions and gain that all-important website traffic. If you can’t do this, you will need to hire an expert on SEO and Customer Journey / UX marketing. Be sure to hire someone that is taking a personal interest in your business, as they will always put in 100% effort in the services they provide. SEO is not a quick fix solution, it takes time to implement and also time to see results. You need to allow the search engines to index your website and the new SEO changes. You can influence this by asking Google to re-crawl your website inside Search Console or by creating new page content, products, etc, and then sharing them on Social Media websites to create those important ranking signals. Make your visitors want to stay on your website by creating content that is relevant and relates to your audience. Create an experience that your users will remember and want to tell their friends about. But also remember staying on the right side of GDPR law! There are a number of ways you can do this to grow your marketing lists and stay GDPR compliant. I’ll explain to you what are the best email capturing steps to take. After that, in Steps and 3, I will show you examples (using video) of a simple Email Capture, and a Double Opt-in landing page. If for any reason you can’t view the video, please contact me and I will be happy to help with any questions. This year has already seen a game changer in the Opt-in Marketing world! As a result, the standard conversion form on your website is now likely to have 0 to 1% conversion rate; spelling disaster for your business! So what do you do about it? In other words, how do you grow your list and keep on the right side of GDPR? Below I have described 3 steps to taking action towards growing your marketing lists in 2019. Step1. Create compelling content and get it shared! You can start by creating compelling content on your blog. Learn something new and write about your experiences and share them on your social network. People love to learn from people who love to learn! Get it shared and grow your network! Just make sure you have a way for your readers to Opt into your future content. For instance, don’t just use the standard ‘Subscribe to my newsletter‘ and an email capture box. If you do, make sure it has a GDPR checkbox acceptance code embedded into the form. This is a sure-fire way to put people off. Site visitors think, oh no, not another email list! Which in-turn equals more Spam! Above all, give your visitors a reason to sign up and connect with you. Step2. 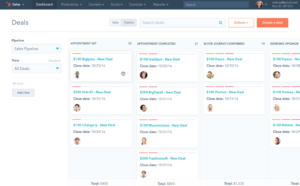 Use Pop boxes or dedicated CRM tools. Use a popup box or some form of Marketing Tools such as Hubspot CRM, or Sumo. These easy to set up plugins are timed to capture leads, either whilst they are browsing your website. For example, try using the ‘Exit-Intent’ option with the popup boxes. This will attempt to capture users as they exit your site. 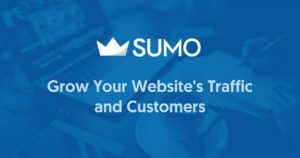 The above video shows how we use Sumo to capture blog readers. Step 3. Create Double Opt-in Forms. Create Double Opt-in Calls To Action (CTA’s). A Double Opt-in is a great way to get someone to commit to signing up for your offers, etc. The video below shows an example of a simple landing page and Double Opt-In option. This is easy to create using WordPress, and Popbox for Elementor. 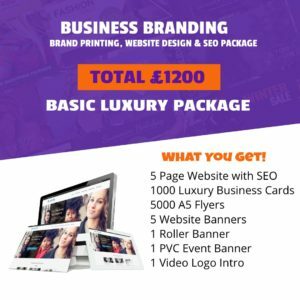 There we have it, those are my 3 simple steps to grow your marketing list, using simple marketing tools, and popup boxes that all allow GDPR compliance to be selected. 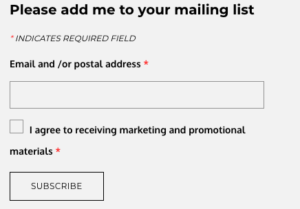 We are using Contact Form 7 & MailChimp, for example, as it lets you create unique forms, and then you can embed that code into a Popbox. Your MailChimp forms will come with Double Opt-in and GDPR Privacy Options available. So there we have it. Go out there, and take action and start impacting your marketing today. If you liked this article, please consider sharing it amongst your network. Until the next time. This is Darren signing out. Happy list building!